We use the term “hometown network” to refer to the social structure that exists among the people from the same village or locality in Mexico. Social relationships and cultural patterns formed in the hometown are crucial to the behavior of many immigrants from rural areas, and they constitute an internal structure that can provide support and comfort for its members. This migrant network structure evolved from traditional systems of mutual exchange that exist as survival strategies in poor rural environments. At first, the pioneering migrants from a given village must overcome great odds when they attempt to cross borders, find housing and obtain employment. But, over time, those who come first make the process easier for those who follow by sharing shelter and job tips with friends and relatives. Soon, what started as an opportunity for a pioneering few, becomes available to most people in the hometown. Indigenous farmworker networks fit this pattern. Experience has taught them not to trust the outsider who has traditionally discriminated against them. This tendency is further reinforced by the localized nature of the dialects of the indigenous languages these small town dwellers speak. Often, people from a nearby town in Mexico may speak their language with a different tone and vocabulary. What’s more, the obligations of mutual help owed to the hometown community create deep bonds among the people from the same hometown. Usually the property in hometowns is owned by the community. Those who don’t comply with work obligations and leadership assignments can lose their rights to land and even to their houses. The enduring nature of this commitment to the hometowns helps explain why immigrants from indigenous areas, notwithstanding their longstanding residence in the United States, actually donate more money to community projects in their home community than those who are newcomers to California. Given that networks play an important role in determining the needs of indigenous immigrants, it is crucial to understand the different types of networks. Networks vary according to several key features, most notably the length of time they have been in the U.S., the age, gender and educational levels of their members, and the level of material possessions. Those who seek to improve the lives of the indigenous immigrant community can enhance their effectiveness by learning the type of network to which an individual, family or group belongs. For a complete discussion of this issue see Appendix II of the Final Report. When did community members start coming to California? What is the average age of people in California? Is the network made up mostly of families or unaccompanied adult males? Are the children mostly living in Mexico or in California? What are the average years of school of people in the network? Do network members have cars and houses? We conducted an in-depth study of nine different networks from nine distinct sending locations. The brief descriptions of each of the nine appear at the end of this section and highlight the variations among networks. Some networks have long histories in the United States as migrant communities; others are newcomer networks. The chart below reveals that a couple of the networks (cuevas, tepos) started coming to California in the 1960s while for others, the very first person did not arrive until the late 1990s (Loxicha). If we compare the networks by the location of the children in the household, another important feature, we again find vast differences. In the newly arrived networks (loxicha, jicayan) over 60% of the children are back home in Mexico. In the more established ones (cuevas, tepos) all the children are in the United States. The hometown networks also vary widely in the amount of material possessions that they have acquired in the United States. In the chart below, you can see that for the people from Loxicha only 20% have a car; while for cuevas and tepos, over 70% own a car or truck. Finally, we show a comparison of a feature that varies greatly across these nine communities--the extent that they are integrated into the majority (mestizo) culture in Mexico before they migrate north. One way to test this integration is by educational achievement in the hometowns. Notice that the more integrated communities such as cuevas and tepos average 8 years of school or more while some of the more remote areas such as peras and jicayan average as little as 4 years of school (see the chart below). A large majority of indigenous immigrants retain a deep sense of obligation and strive to send money to their families and contribute to their communities, be it for the fiesta, the church or a wide array of community improvement projects. However, the desire to meet these obligations is often blocked by lack of sufficient income in the United States. New church in Candelaria, Oaxaca, paid for with migrant dollars. Photo by Rick Mines, 2008. Once they settle in the United States, the indigenous send less money to their families back in Mexico. Those whose wife and children are in Mexico must send remittances (money) to their dependent nuclear family frequently, and the unmarried are under strong pressure to remit to support their parents and siblings back home. However, those who are living with their spouse in the United States believe their first obligation is to support their nuclear family, and feel less obliged to send resources to their parents back home unless they have children being raised by the grandparents. Surprisingly, as people remain longer in the U.S., and as communities acquire deeper roots north of the border, their rates of giving donations and fulfilling their community obligations do not seem to decrease. The hometown locality is cherished by the indigenous communities. First, the agricultural land, water and surrounding pasture and forest lands are usually communally owned and are seen as the source of the uniqueness of the community’s culture and of its economic survival. Moreover, the customs and language of the hometown are the focal points of identity and pride for people who traditionally have lived out their lives according to strict rules of mutual community obligations. The stringent enforcement of loyalty to their hometown and its customs has ensured their survival as distinct peoples in the face of efforts at cultural extermination, first by the colonial Spanish and then by successive Mexican governments. The system of indigenous governance and maintenance of community services is known as ‘usos y costumbres’ in Mexico. The customs vary greatly from one indigenous community to another. However, there are a series of general traits shared by most speakers of the original languages of Mexico. The land usually cannot be bought or sold and the right to work the land is enjoyed only so long as the community participant is a citizen in good standing. This implies holding a series of community-service positions or offices, known as cargos, and complying with short-term work assignments (tequio). Traditionally, there is very little marriage outside the hometown and property changes hands normally through inheritance rather than by sale. A young girl whose parents are working in California shares a meal with her grandfather in Oaxaca. Photo by Holly Mines, 2008. The community citizens living in (or visiting) the home communities meet in assembly in the middle of the year and select the people who will be obligated to carry out the cargos (offices) in the following year. This assembly has traditionally been made up of the adult married males in the community. In recent years, in part due to the lack of men in the hometowns, increasingly women have been allowed to hold offices and exercise more citizenship rights. Often, if one does not perform service to the community, one can lose one’s property, including one’s own house. In other words, one literally owns one’s own real property only if one participates in the community. People who do not serve their communities can be fined and even jailed upon returning home to their native towns. Jobs are staffed without compensation to the office holder. The cargos usually include civil as well as religious (festival) obligations. The duties can be quite costly to the individual. A young man who begins serving in the most humble cargo and who eventually completes all of the cargos, reaches old age imbued with great respect. In the second half of the twentieth century, as permanent and back-and-forth migration became a large feature of these communities, it has become difficult to find available candidates to fulfill the cargo and tequio (work) obligations. Moreover, this lack of manpower has meant that occupants of the posts no longer have to climb up the pyramid of offices starting at the bottom. It is now common to see a very young man as ‘agente municipal’ or mayor of a hometown in indigenous Mexico. Obviously, to leave a good job in the United States to return home to fulfill a community obligation is a huge burden for many living in the United States. These cargos can be seen as burdensome to the individual, but they are also the glue that holds together communities where many inhabitants have to leave at a very young age in order to make a living. Community development projects on both sides of the border may be able to benefit by maximizing the positive aspects of this system and minimizing the negative ones. Huge sums are spent on fiestas—a custom that is often exacerbated by the deeper pockets of the émigrés in the United States who are expected to provide ever more lavish fiestas. The idea of channeling these resources for productive purposes is being openly discussed by members of many communities. The following short descriptions provide a flavor for nine different hometown networks. As noted in the section describing Settlement in California, we believe that appreciating the variation and diversity of indigenous networks is central for understanding this new group of immigrants in California. In addition to age of the network (i.e. the average time in the U.S. of its members), there are several other features that distinguish a given network, including language, migration history, its size in the U.S. and age of its members, household composition and material possessions. We also mention the hometown’s connectivity to the wider world as this has implications for ease of migration. This is a Mixtec-speaking Oaxacan community found in the San Juan Mixtepec region of Oaxaca, not far from, and equidistant between, the two well-connected cities of Tlaxiaco and Santiago Juxtlahuaca. Its people have been migrating for decades. 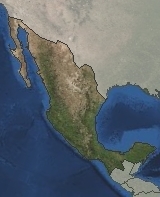 They have settled populations in the Mexican states of Veracruz and in Baja California. Men from Tepos participated in the Bracero Program and began coming in limited numbers to California in the 1960s. By the early 1980s, a substantial settlement community including women and children existed in the Bakersfield region (around Arvin-Lamont) where they have done grape and vegetable work. Younger people continue to come to the United States from the village but go mostly to Florida and Indiana. The settlers from Tepos speak Spanish without difficulty. They are predominantly an older group (median age=36) and have all their minor children with them in California. Their adult children are also in the United States. As an indicator of their level of material wellbeing, a few own their houses and almost all have cars. These Mixtec speakers come from a town very close to the small city of Santiago Juxtlahuaca in Oaxaca, which is connected by paved road to the rest of Mexico. Its people have daughter communities in Baja California and Mexico City. The people from Cuevas also came as Braceros and settled in California first in the 1960s. Again, by the 1980s, they had settled as families in the Fresno area where they have specialized in grape work. Many settlers from Cuevas still make the seasonal trek north to do farm work in Oregon where there is another settlement of people from their hometown. Younger people continue to arrive from the hometown to join a growing California settlement. In general, the settlers speak Spanish well. Again, they are an older group (median age=34) without minor children in living Mexico. Their nuclear families have moved to the United States. A few have houses and a large number own trailers in the Fresno area. Most have cars. These Triqui speakers must traverse an unimproved dirt road (impassable in the summer rainy season) from their hometown to reach the small city of Putla de Guerrero, Oaxaca, which is connected by paved road to Tlaxiaco and thus to the rest of Mexico. The people of Venado have travelled widely around Mexico and the town has filial communities in Sonora, Jalisco, Baja California and Veracruz. Though it had pioneers arrive in the United States before the immigration amnesty of 1986-1988, it had a very small presence until the 1990s. Settlers first went to the Madera area but at some time in the mid-1990s, they shifted their main settlement to Greenfield, in the Salinas region, where they are engaged in vegetable work. The ability to speak Spanish of the settlers from Venado is very uneven. This is a relatively young group (median age=29) and a large proportion of the settlers’ minor children are still in the hometown. They all rent and live in crowded apartments in California, but most own cars. Piñas is a Mixtec-speaking town that is situated on the western edge of the municipio of Santiago Juxtlahuaca, Oaxaca. It is joined by unpaved roads to the city of Santiago Juxtlahuaca. The people of Piñas travelled extensively around Mexico seeking farm work throughout the second half of the twentieth century and left settlements in Sonora and Baja California. A few participated as Braceros and the migration of male pioneers to the United States began in the 1970s. The median age of the population of the settlers is relatively high (33 years). However, women and families did not start coming until after the 1986 immigration amnesty, and settled family-based communities probably didn’t appear until the mid-1990s. They are mostly settled in the San Diego and Santa Maria regions where they work in vegetables and strawberries. Some in San Diego have found work in construction. The ability to speak Spanish among the settlers from Piñas is mixed, perhaps a reflection of its isolation and relatively low educational levels. Despite the relatively early arrival of pioneers, a minority of the settlers are couples living together and a large proportion of the minor children of the settlers are in the village. No one in the sample owned a home and a minority owned cars. Cerro, which has a Chatino-speaking population, is connected by an improved (graveled) road to the main highway between Puerto Escondido and Oaxaca City. It is a community that until recently has not been exposed to the outside world and has travelled very little around Mexico looking for work, unlike other towns in the study. Still, some people have settled in Oaxaca City. In Cerro’s case, once people found the means to leave their community, they came straight to the United States. In California, almost all have followed the lead of one pioneer who arrived in Petaluma in the North Coast region. They remain concentrated in the North Coast and work in wine grapes and landscaping. Although the pioneer and his wife came in time for the amnesty of 1986, most Cerro settlers came in the late 1990s and most women came after 2000. Despite the late entry into the migration stream, most of the settlers from this coastal region speak Spanish well and use it with their children who are resident in California. Still, the majority of the relatively young settlers (median age=28) have not settled with their spouses in California and a majority of their minor children are still back in Oaxaca. This Mixtec-speaking town, in the municipio of San Pablo Tijaltepec, is located over a long and tortuous graveled road, an hour from the small city of Chalcatongo de Hidalgo in the district of Tlaxiaco, Oaxaca. The people from Candelaria did travel elsewhere in Mexico to work and formed settlements in Baja California and Mexico City. Although people from the Chalcatongo area have a history of Bracero participation, for the San Pablo Tijaltepec area, migration seems to have been delayed by the poor roads. They settled very late in California. The first pioneers did not arrive until the 1990s, and most of the settlers arrived well into the decade of the 2000s. They settled in the Central Valley in the Bakersfield region (mostly in Taft) and in Santa Maria where they work in grapes, vegetables and strawberries. Despite their hometown’s isolation and their recent arrival, many appear to speak Spanish well and the settlers have a relatively high educational level. With respect to the presence of the spouse and children, the men of Candelaria have an unusual pattern. Despite their late arrival in California, their relative youth (median age=27), and the fact that a large proportion (41%) of the minor children are still in the village, an extremely high percentage of those who have settled here are husband and wife couples (78%). It appears that the people have made the calculation that it is worth having two wage earners in California even if it means leaving the children with the grandparents in the village. Not surprisingly all are renters, and less than half own cars. San Martín Peras, a Mixtec-speaking community located in the far west of Oaxaca near the Guerrero border, is the chief town in the municipio of the same name. It is the region’s administrative center and has the largest population of the nine communities under study. The town was founded and built into a population center only in recent decades. It is still isolated by poor roads from the city of Santiago Juxtlahuaca, from where the roads lead out of the region. Despite its remoteness, the people of Peras have travelled widely in Mexico in search of work. There is a very large settlement of people from the town in the San Quintín Valley in Baja California. The first pioneers to California came in the late 1970s, but it was not until after the immigration amnesty of 1986 that large numbers crossed the border. Most men arrived after the late 1990s and most women came after 2000. They have settled predominantly in the Ventura and Watsonville regions where they work in the strawberry industry. There is a great deal of seasonal movement between these two regions. The people of Peras speak Spanish in a very uneven way and have one of the lowest educational levels. However, like Candelaria, a majority are in California with their spouse. Again, this is true despite their relatively young age (median age=27) and the fact that a large proportion of the minor children are in Mexico. None own their houses, though a majority owns a car. Jicayán is a Mixtec-speaking town on the Guerrero side of the border. It has tortuous roads that until 2008 were impassable in the rainy season. To reach the outside world, one must pass through Santiago Juxtlahuaca in the neighboring state of Oaxaca, since the town is fairly isolated from the rest of Guerrero. Despite being isolated by bad roads, people from Jicayán managed to travel to the coast of Guerrero to work in the tourist and construction industry. They also have travelled to other states in Mexico, though they started in the 1980s, much later than many other towns. Settlement communities were established in Baja California, Michoacán and Mexico City. Although one pioneer came to California before the immigration amnesty of 1986, most people came after 2000 (median age=26). The settlers of Jicayán speak a very poor Spanish in general and their educational level is the lowest among the nine communities. A minority has spouses living with them and 60% of the minor children of the settlers live back in the hometown in Mexico. No one owned a home but many had cars which they use to shuttle back and forth between Caruthers/Raisin City and Santa Maria, according to the fluctuating agricultural labor demand in grapes and strawberries. Loxicha, a Zapoteco-speaking town, is located on an unreliable but gravel road in a remote area north of the highway between Puerto Escondido and Puerto Angel, Oaxaca. This town was very late to enter the migrant stream. There is no evidence of anyone leaving the hometown before 1990. There are no settlements elsewhere in Mexico. People came straight to the United States. No one in the older generation speaks Spanish very well in the town. However, despite its isolation and lack of migration history, the language skills are changing quickly. Children converse in Spanish on the streets of the hometown, and the young settler population in California speaks Spanish well. Though there were isolated pioneers in the 1990s, almost all of the relatively small number of people from Loxicha has come to California since 2000 (median age=25). They have settled almost exclusively in the San Diego area where they work in the strawberry and tomato fields. Loxicha is the one town of the nine with very little settlement of women and children. We found only two women from the community in California and both had very young children. About 80% of the men in our sample did not have a spouse with them and a large majority of their children were in Mexico. The men from Loxicha have no houses and only 20% have cars.